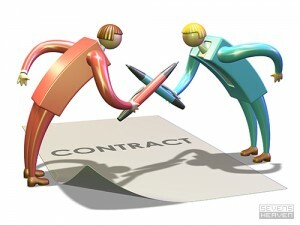 In real estate, it is not always a good idea to make a “counter offer”, and the reason is this. When a buyer makes an offer, the seller has three options: One, the seller can accept the offer; two, the seller can reject the offer, at which point the negotiations are dead; or three, the seller can counter the offer. When the potential buyer receives the counter offer, they then have the same three options: Accept the offer, reject the offer, or counter the offer. That means that the seller now has a 67% chance of the offer ending at that point. Of course, there are many other factors to consider, and a good REALTOR® will help with that process, but it is a good idea to remember that the negotiations can end when the process is sent back to the potential buyer.